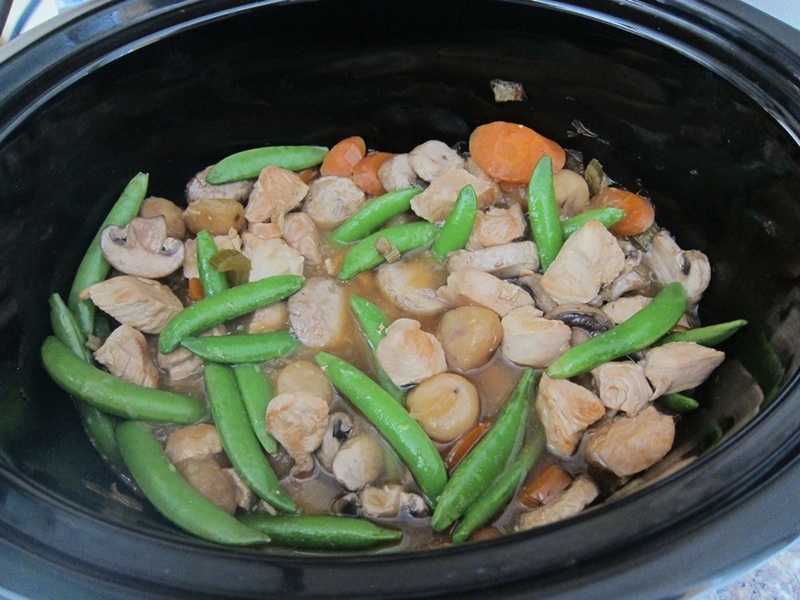 Very frequently crock pot meals are (delicious) brown smooshy foods when served. This recipe manages to have some brightly colored vegetables and a mix of textures, plus being delicious, which is a nice change! 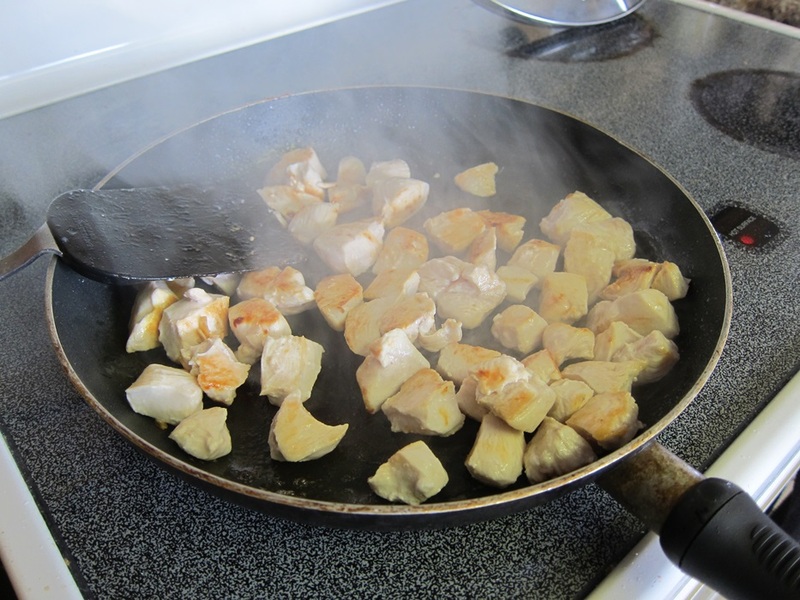 Heat the oil in a skillet over medium-high heat, then add the chicken and cook until lightly browned. 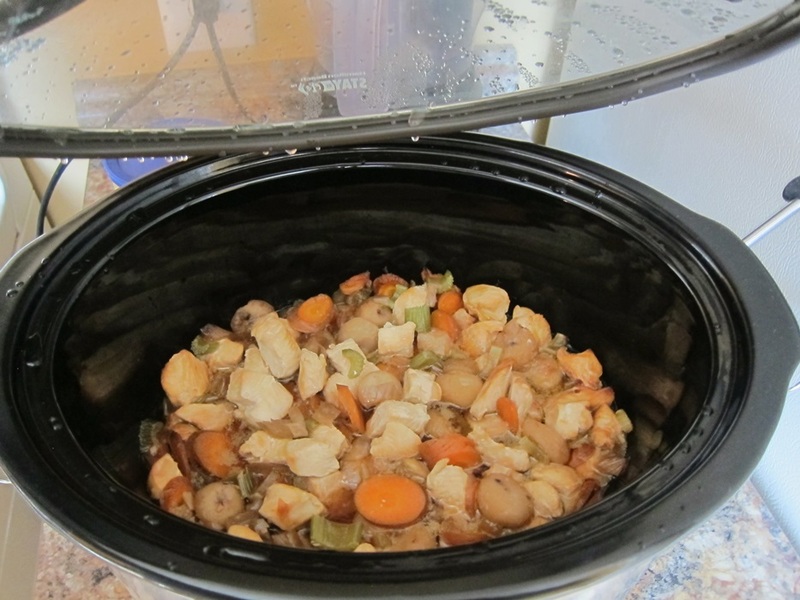 Spray the inside of your crock pot with cooking spray, then put in the carrots, celery, onion, garlic, and water chestnuts. Add the cooked chicken. In a small bowl, stir together the broth, soy sauce, and ginger, then pour over the chicken. Cover, and cook on low heat for 6-8 hours. In a small bowl or cup, stir together the cornstarch and water until no clumps remain. Stir into the crock pot mixture, then add the mushrooms and pea pods. Turn the heat to high, recover, and cook an additional 15 minutes. 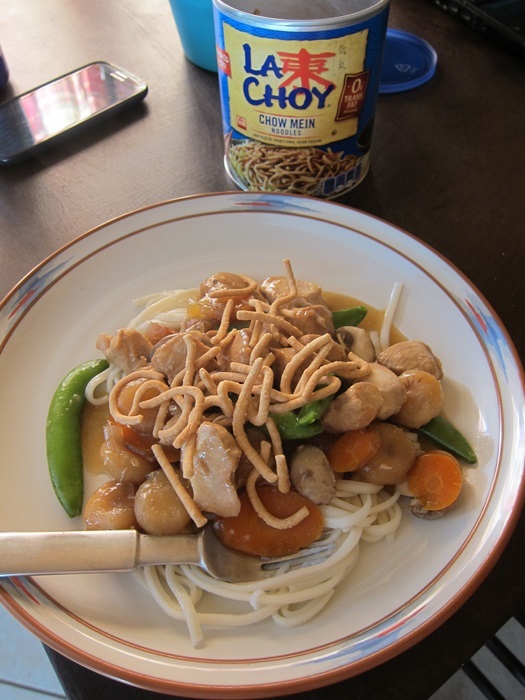 Serve on top of noodles, garnished with chow mein noodles. 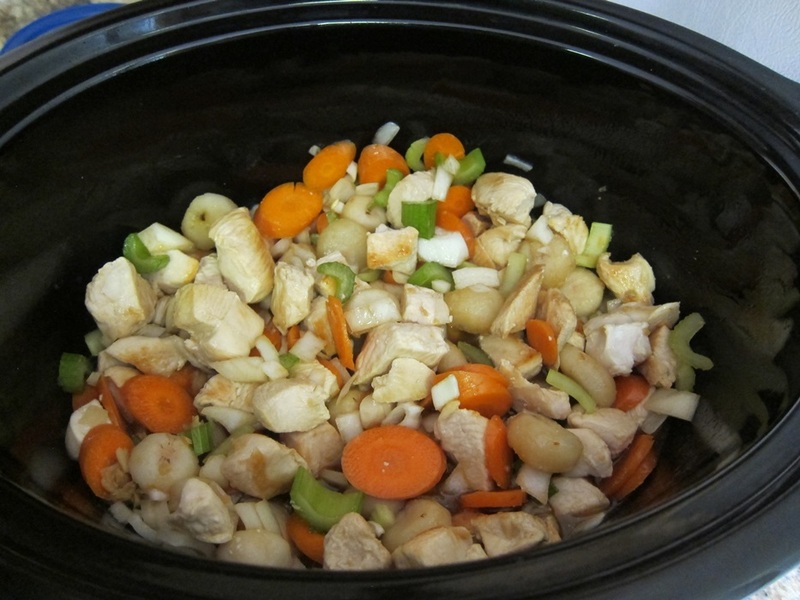 Spray the inside of your crock pot with cooking spray, then put in the carrots, celery, onion, garlic, and water chestnuts. Add the cooked chicken. In a small bowl, stir together the broth, soy sauce, and ginger, then pour over the chicken. Cover, and cook on low heat for 6-8 hours. In a small bowl or cup, stir together the cornstarch and water until no clumps remain. Stir into the crock pot mixture, then add the mushrooms and pea pods. Turn the heat to high, recover, and cook an additional 15 minutes. Serve on top of noodles, garnished with chow mein noodles. 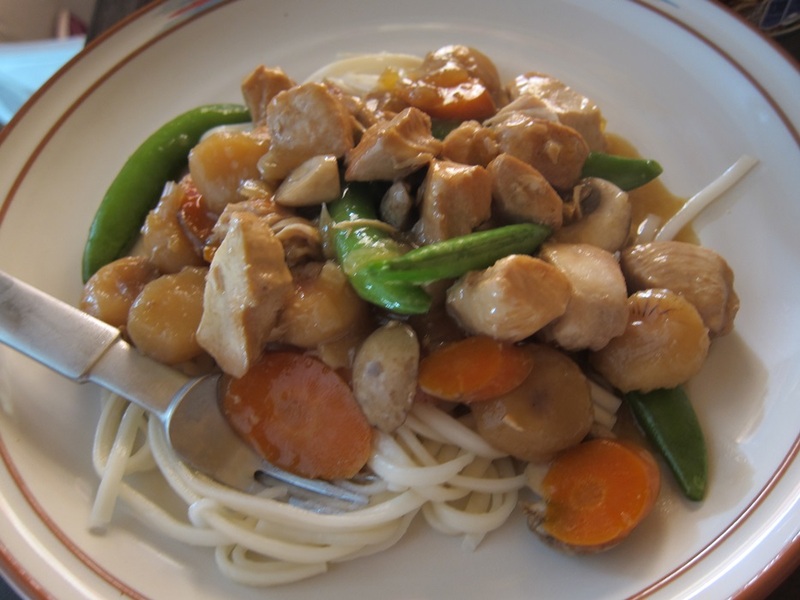 This entry was posted in Dinner and tagged chow mein, crock pot recipe. Bookmark the permalink.